The 6th European Research Infrastructure Consortium (ERIC) Network Meeting took place in snowy Helsinki on May 9 and 10. 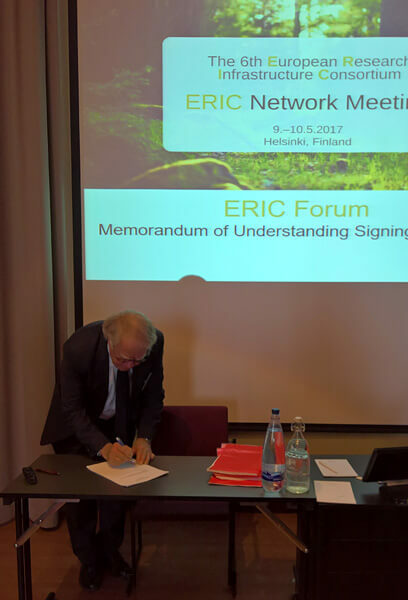 After two days of presentations and break-out sessions that saw participants engaging in high-level discussions, a Memorandum of Understanding was signed to set up an ERIC Forum. Our Director General, Jan-Eric Litton, was among the ERIC directors signing the Memorandum.